This year I didn’t do my usual ‘over the top’ decorating throughout the house. We have our tree with Son’s collection of Old World ornaments and I gussied up the living room fireplace and the china cabinet in the dining room. The mantle came out beautiful. Perhaps ‘less’ really is more! The mirror is from ‘the girls bedroom’ at home. The vase is a piece from my milk glass collection. Silk poinsettias and red ball ornaments add color. White lights and gold beads add sparkle. 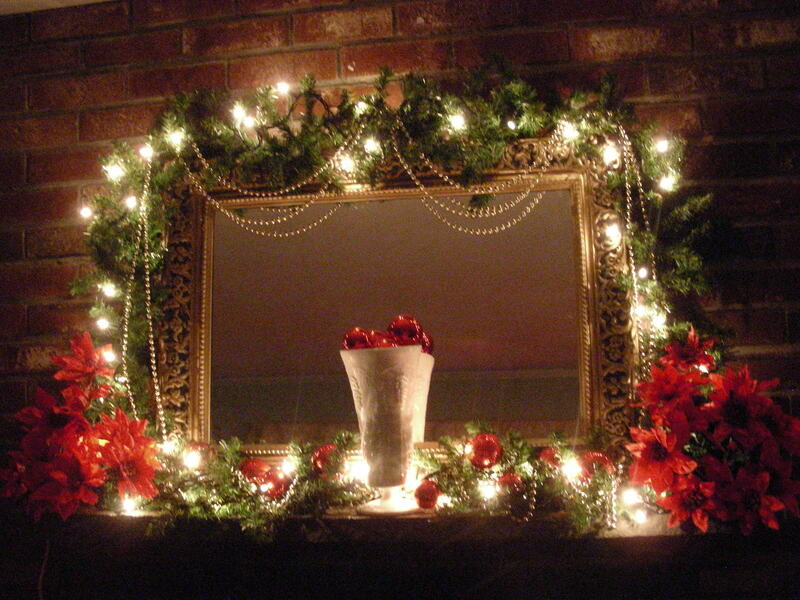 Have you finished your holiday decorating? Posted in Anita K Greene, Author, Creativity, Flowers, Holiday, Home and tagged Christmas, decoration, Fireplace, Holiday, Interior design. Bookmark the permalink. 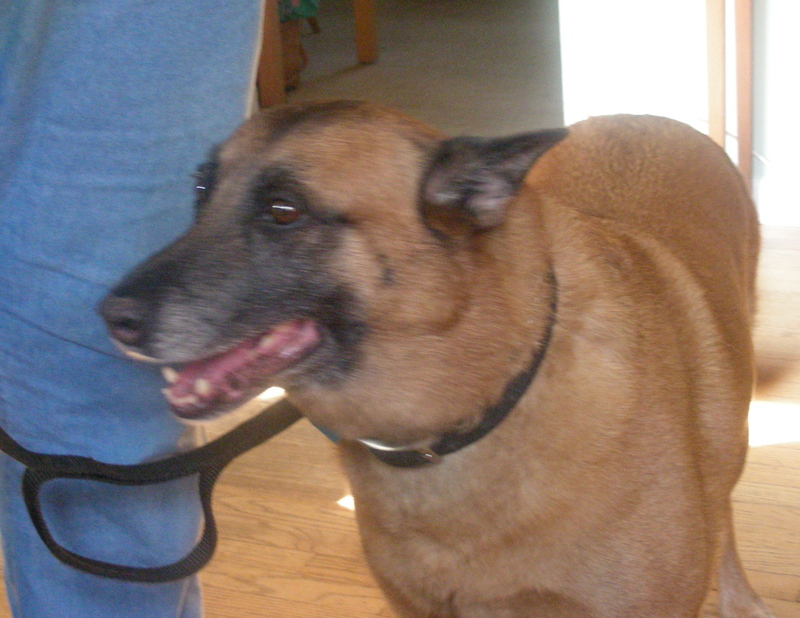 A week ago, we said our last goodbye to a precious family member – our Belgian Malinois, Trapper. aka – Baby, Bear, Mutley and in later years, Old Man. Trapper came to us 13 years ago as a one year old. 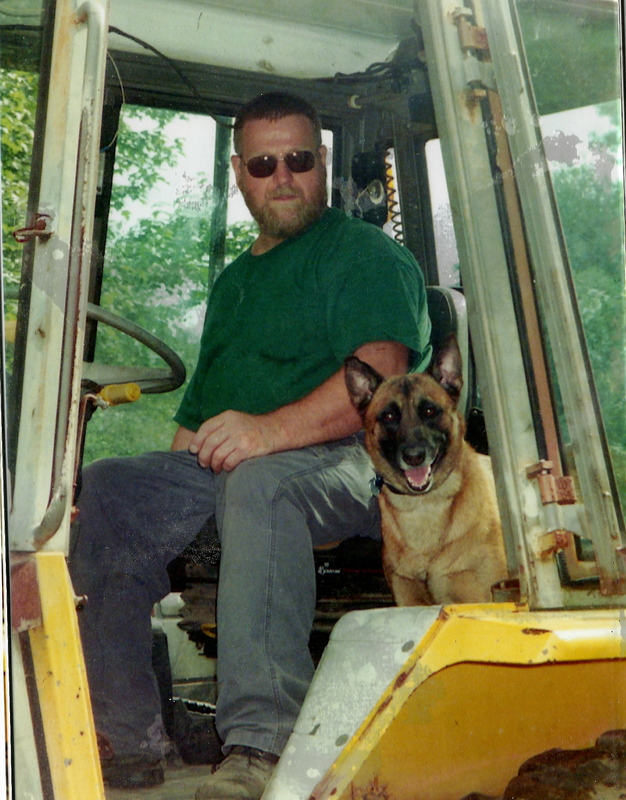 His owner/breeder was training him for personal protection or police work. Falling on hard times, he had to sell some dogs. A new litter of puppies and Trapper were available so we took a day trip to Maine to meet everyone. The puppies were cute, but we were drawn to Trapper. He had a great personality and would come to us trained. Off the lead, he raced in circles around the field before coming to us for attention. On that first meeting, I leaned over to pat him and he went belly up. He wasn’t an assertive alpha male. Once he was ours, we discovered two puncture scars beneath his chin. 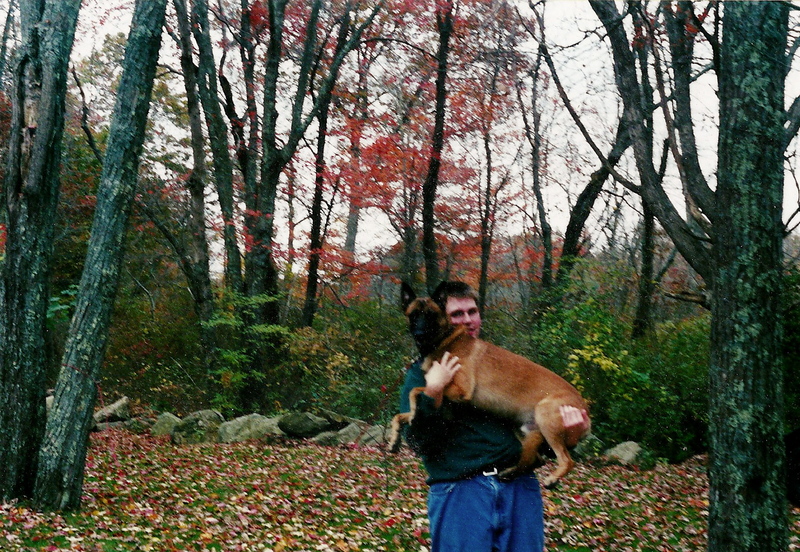 Another dog had gotten a hold on him at some point in his first year. Perhaps that was why his automatic response was submissive. Always a love bug with the family, as he grew he developed a protective streak. We didn’t bring Trapper home that first trip. We wanted to think about our choice and be sure. A week later, we went back to Maine to make him ours. His trainer spent time training ME on the leash. I loved that I could walk him without being pulled along. We also had to learn his commands in French. We never remembered in the ‘heat of the moment’, so he soon became bilingual and over time the French disappeared. 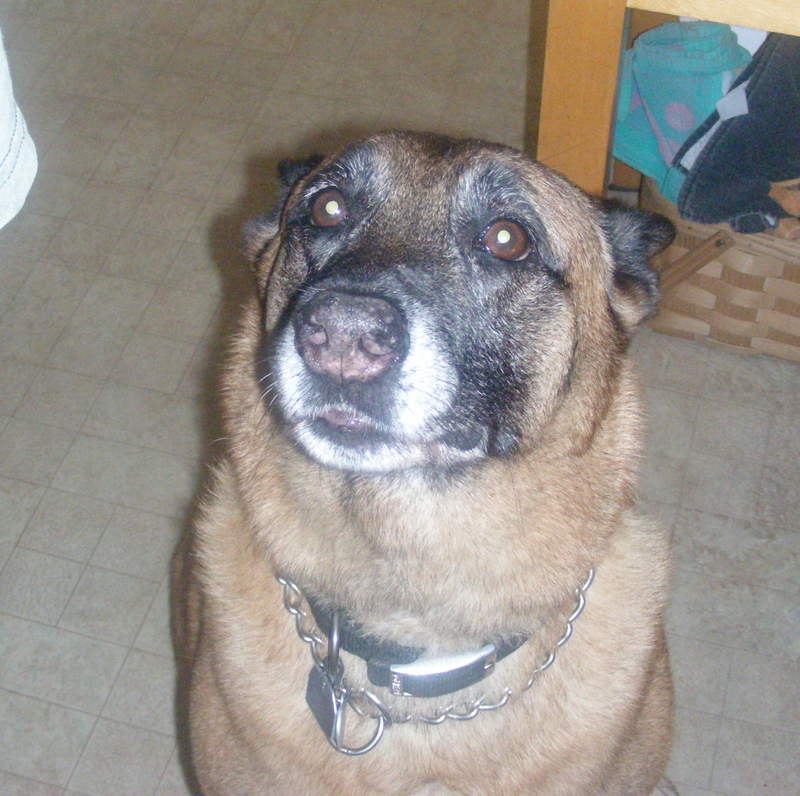 Leaving a kennel situation and coming into a home, there were new lessons for Trapper to learn. No paws on the kitchen counter, no snitching food from the dinner table and how to navigate a flight of stairs. He’d always worked on a lead so we had to teach him to come when called which entailed us acting like fools while calling his name. He loved it. Because bite work had been a part of Trapper’s training, Old Roady lost two winter coats that first year. All it took was a sleeved arm cocked a certain way and it was game on! I didn’t want him jumping on me. If he did, I wouldn’t touch him until he got ‘off’ and sat. Then I’d love on him like crazy. A quick study, it wasn’t long and he’d run up to me and sit, waiting for the attention. Thankfully, he did the same with extended family including elderly grandparents. Crate trained, he never charged out the door, but would step out with his front paws, stretch in a play bow then come out the rest of the way. Crating didn’t last long. He was a ‘velcro dog’. He wanted to be with the family and we wanted him with us. If he became truly upset about being left home alone, he’d empty the wastebasket beneath my desk, leaving a trail of tissues and papers for us to find. He always entered the house on our left. If he was on our right, he’d back up and switch sides before coming through the door. I’ve wondered if this was a holdover from his early training. Maybe so he didn’t interfere with an officer’s gun hand? Not sure. A true ‘Maine-iac’, he loved snow. He would roll and romp and run with his nose beneath the surface then come up with a face full of it. When he came inside and it began to melt, he’d rub his face on chairs, coats, anything he could find to dry it. Same with rain. He hated a wet face. For a week now, we’ve been adjusting to that empty spot in the family. Coming through the front door, a greeting on the tip of our tongues before we remember Trapper won’t be standing there waiting for us. There’s no nose at my elbow, sniffing and hoping for a tidbit when I prepare chicken for supper. No happy dog at my side when I run out for the mail. No stepping over him on late night runs to the loo. Trapper had two unwavering objectives each and every day. To love his family and to get a dog ‘cookie’ when he came in from outdoors. If you’re still reading, thank you. He had a long life for a dog, fourteen and a half years. Even so, it was too short a time for us. We buried him beneath the front bushes where he liked to lay and watch the world go by. 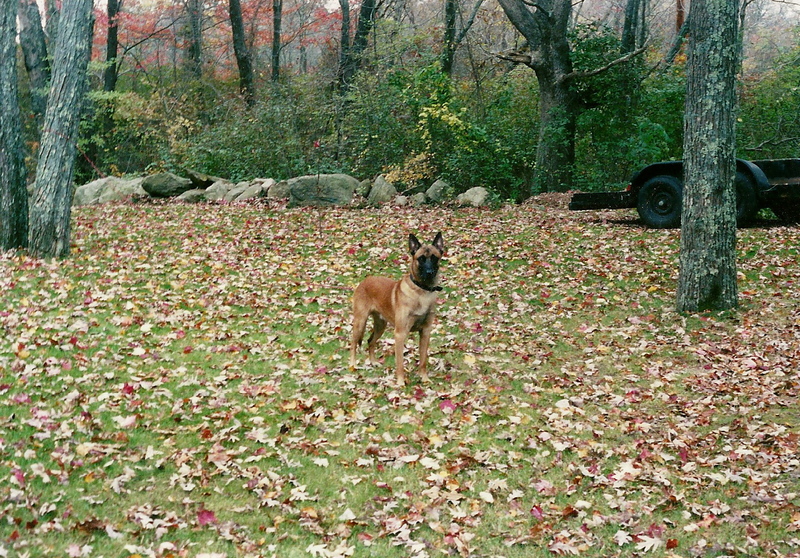 Posted in Anita K Greene, Author, Family, Pets, Transitions and tagged Belgian Malinois, December 7th, Dog, Losing a pet, Maine, Pet, Trapper. Bookmark the permalink.